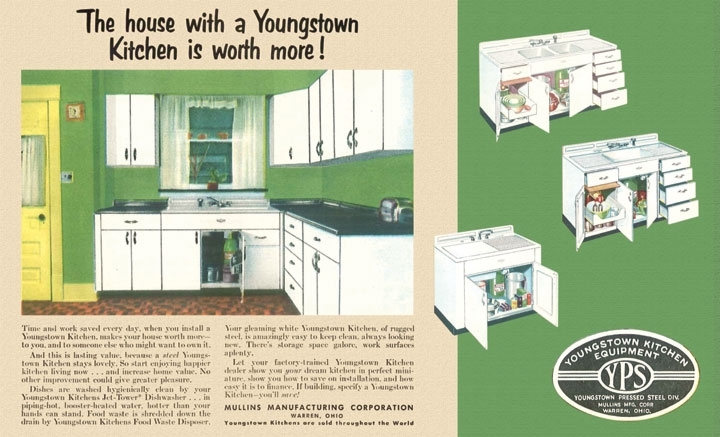 Hometown Story: Youngstown Steel Kitchens responded to the local history of this once thriving manufacturing city. 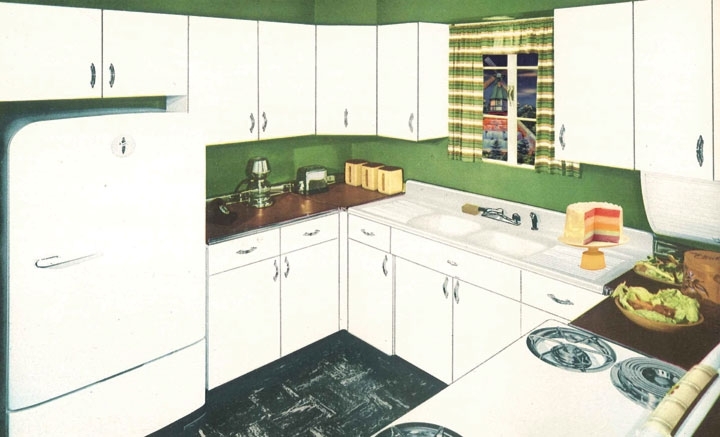 It included a historic Youngstown Steel Kitchen television ad, a salesman’s job training film, vintage print ads, and curated objects including remnants of a Youngstown Steel Kitchen and a salesman’s kit. I created an experimental video projection and a series of archival prints. Hometown Story: Youngstown Steel Kitchens, 2012 Exhibition Documentation from Jennifer Vanderpool on Vimeo. 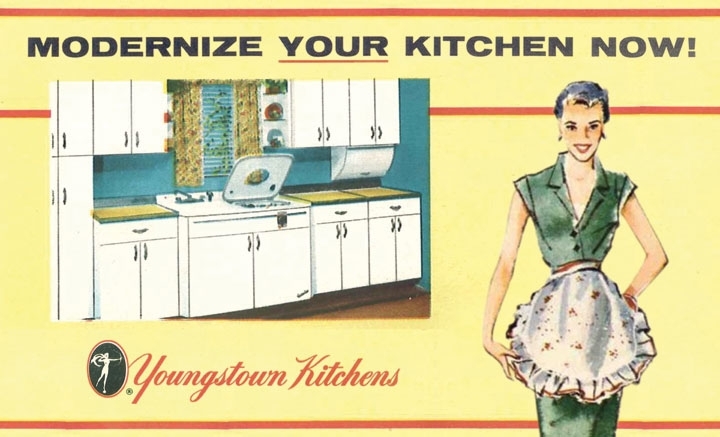 Hometown Story: Youngstown Steel Kitchens, 2012 Historic Advertisements from Jennifer Vanderpool on Vimeo. Hometown Story: Youngstown Steel Kitchens, 2012 Projection from Jennifer Vanderpool on Vimeo. 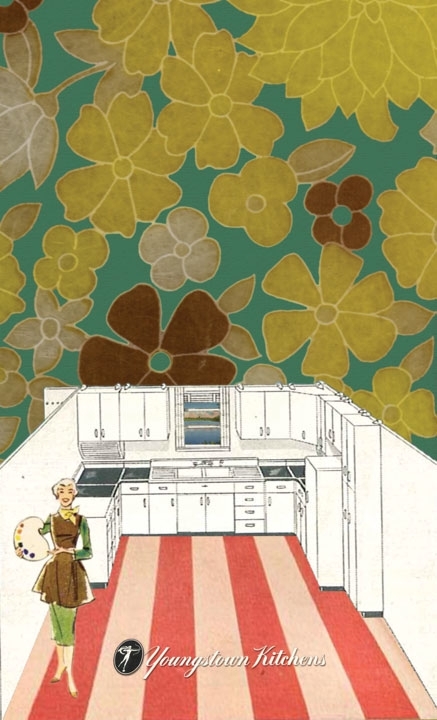 "The Mullinaires," 1953, The Mullins Manufacturing Company from Jennifer Vanderpool on Vimeo. 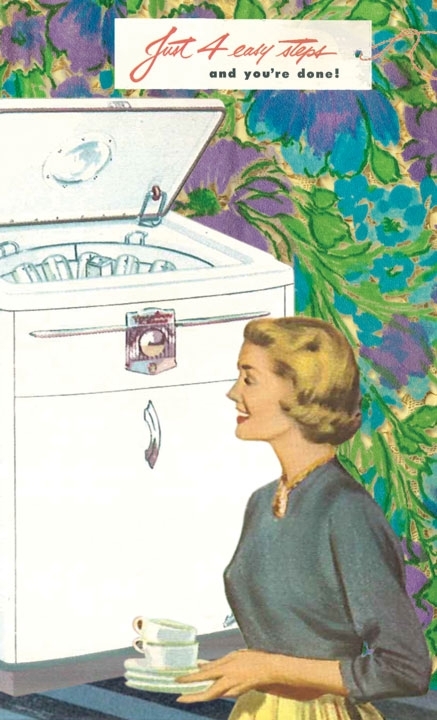 "The Last Word in Automatic Dishwashing," 1950, The Mullins Manufacturing Company from Jennifer Vanderpool on Vimeo.